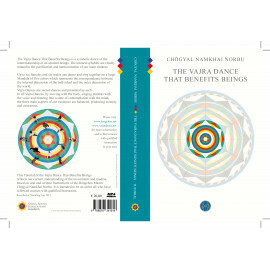 The Vajra Dance That Benefits Beings is one of three Vajra Dances based on Upadesha teachings first transmitted in 1990 by Dzogchen master Chögyal Namkhai Norbu. Part of the Longsal cycle, its complete title is The Light of the Precious Lamp – The Symbolic Manifestation of the Dance of Vajra That Liberates the Six Classes of Beings in the Six Pure Dimensions. The Vajra Dance That Benefits Beings is a symbolic dance of the interrelationship of all sentient beings. 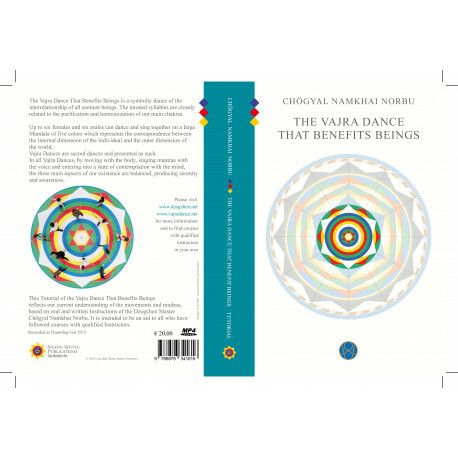 Up to twelve dancers (six females and six males) dance and sing together on a large Mandala of five colors representing the correspondence between the internal dimension of the individual and the outer dimension of the world. The intoned syllables are closely related to the purification and harmonization of our main chakras. In all Vajra Dances, by moving with the body, singing mantras with the voice and entering into a state of contemplation with the mind, the three main aspects of our existence are balanced, producing serenity and awareness. This tutorial reflects our current understanding of the movements and mudras. It is intended as an aid for all dancers who have followed courses with qualified instructors. 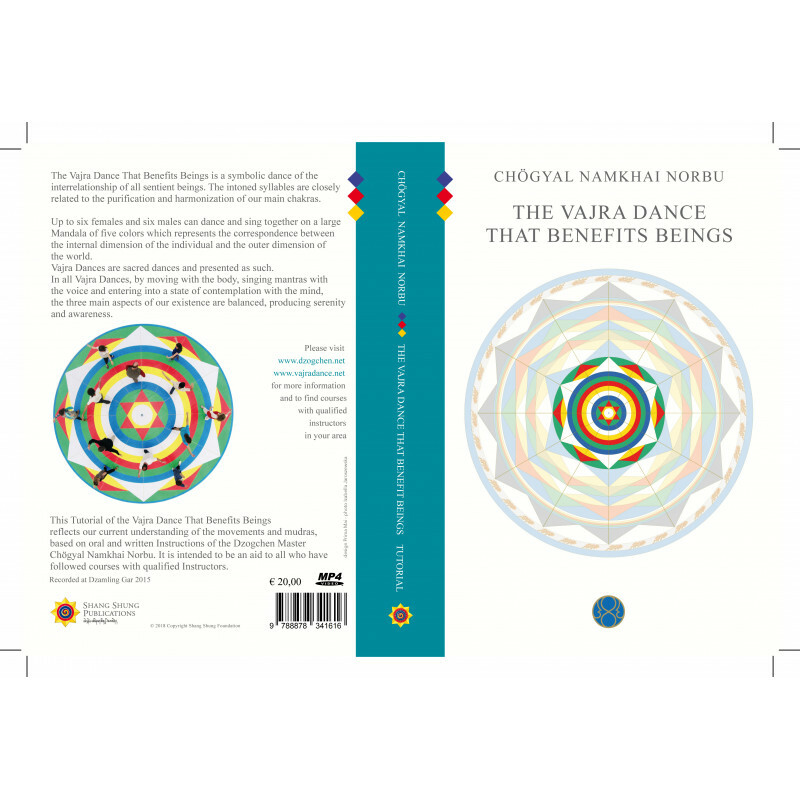 The Vajra Dance That Benefits Beings can be integrated within any spiritual path and can also be practiced by those who have not received direct transmission from Chögyal Namkhai Norbu.